The SW coast of Hirta falls sheer into the sea. 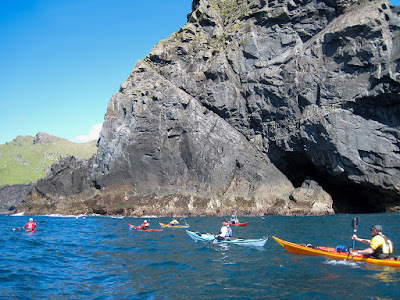 Despite the sea level being unchanged for about 6,000 years and being exposed to one of the greatest average wave energies in the British Isles, there is no wave cut platform though there are many geos, arches and caves. 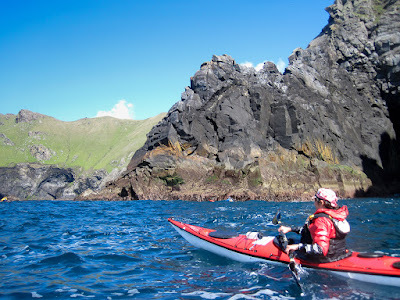 We were paddling NW towards the gap between Soay and Hirta, where we had arranged a rendezvous with the MV Cuma. It was too rough for even Gordon to paddle through the arch at the foot of Mullach Bi (which we had looked down upon the previous day). 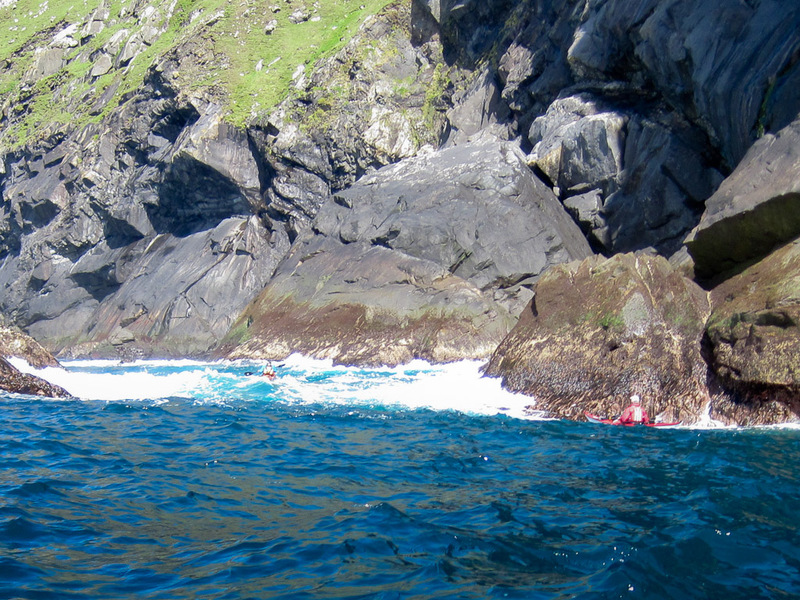 However, Gordon and Callum went through a gap in the skerries, which had monstrous swells breaking through. 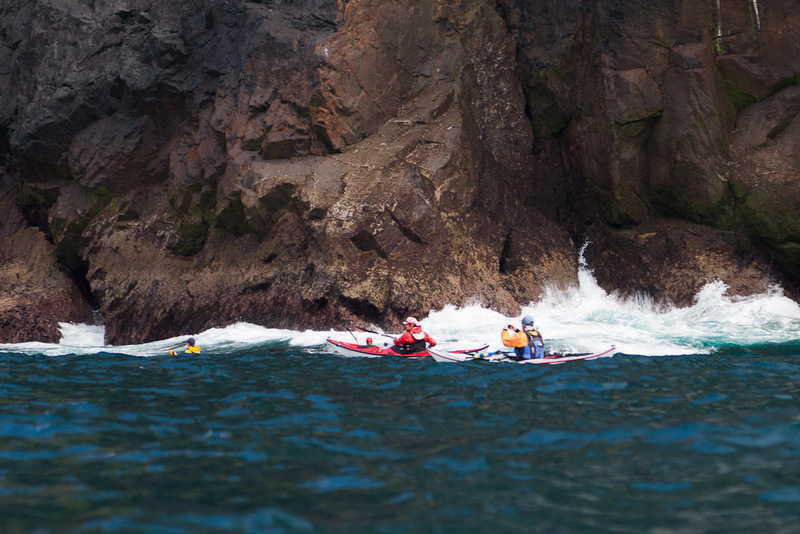 ...the swell receded revealing those teeth. 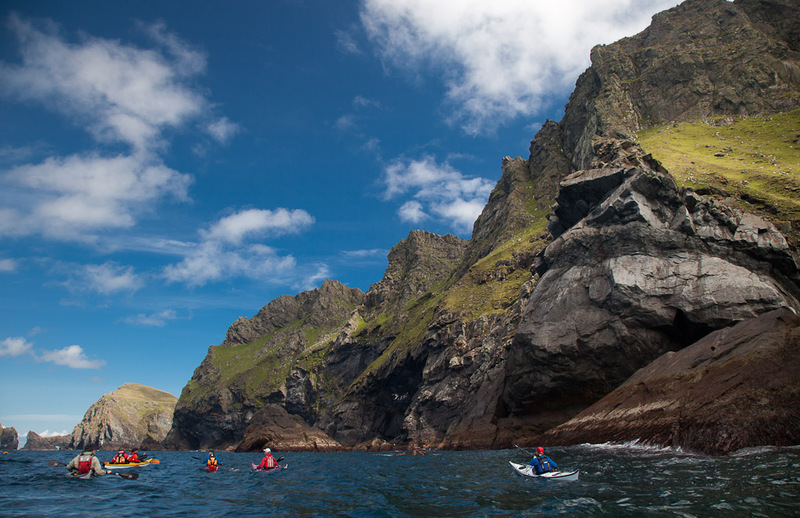 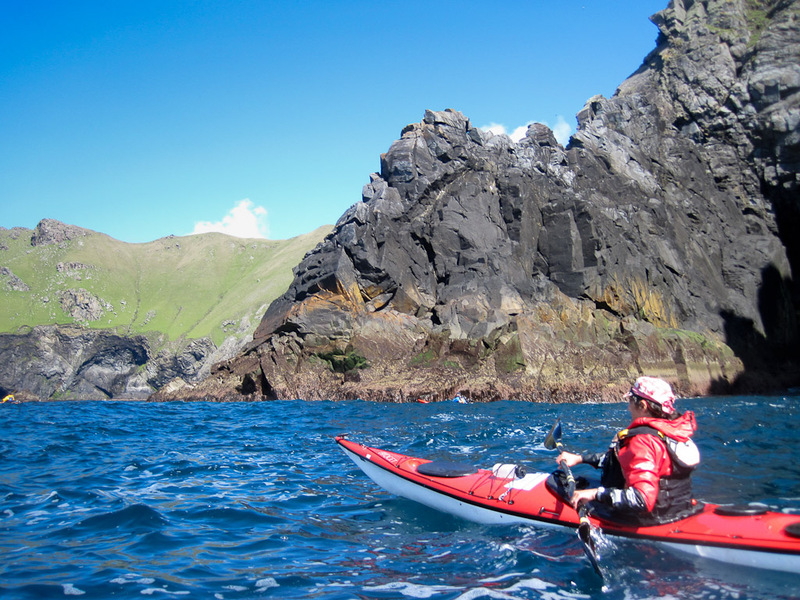 Turning a corner, we now paddled below the equally dramatic west coast of Hirta. Ken was doing a lot of paddling in the double as Simon, up front, shouted directions as he filmed our progress. We now approached Soay Sound and we could see Murdani in the Cuma scouting the conditions beyond the stacs. 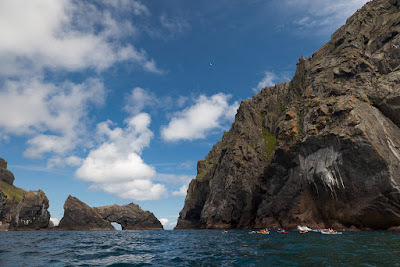 We had arrived early because the swell had precluded detailed exploration of all the arches and caves. 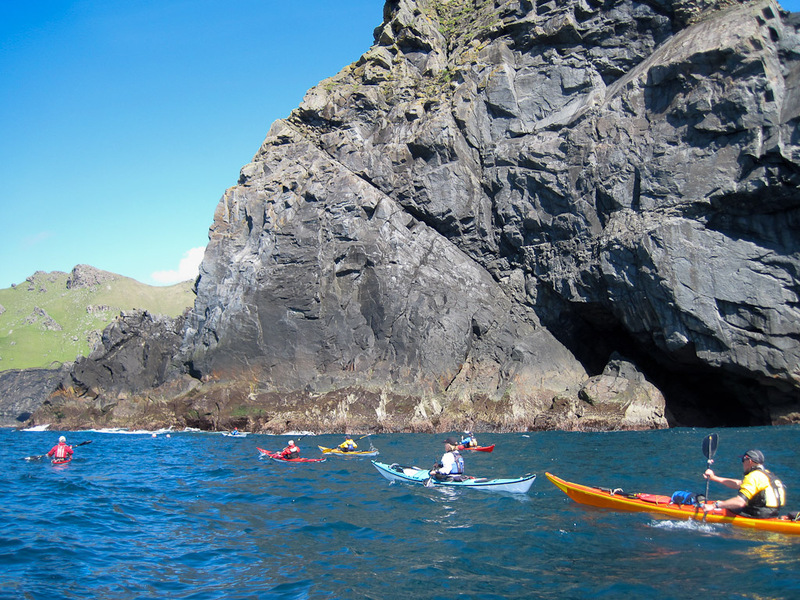 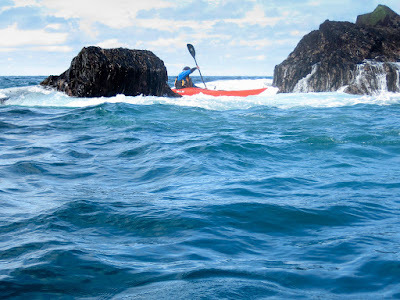 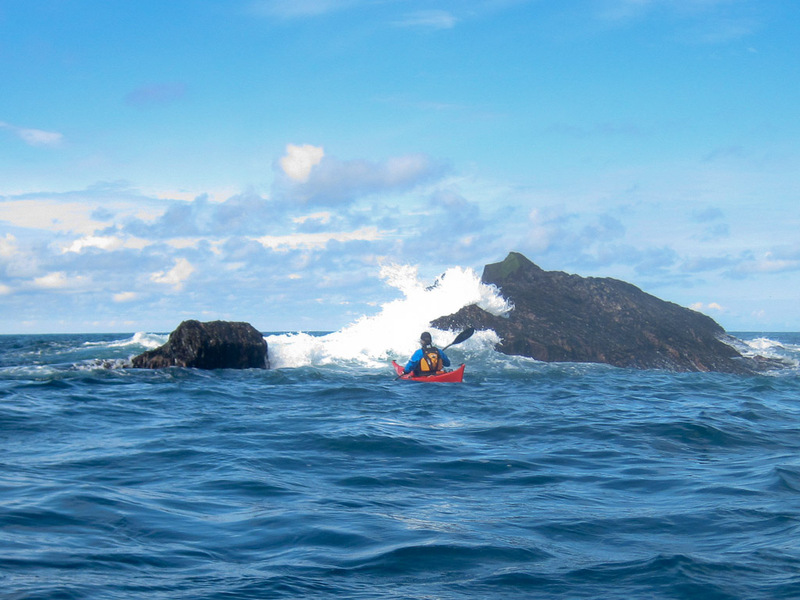 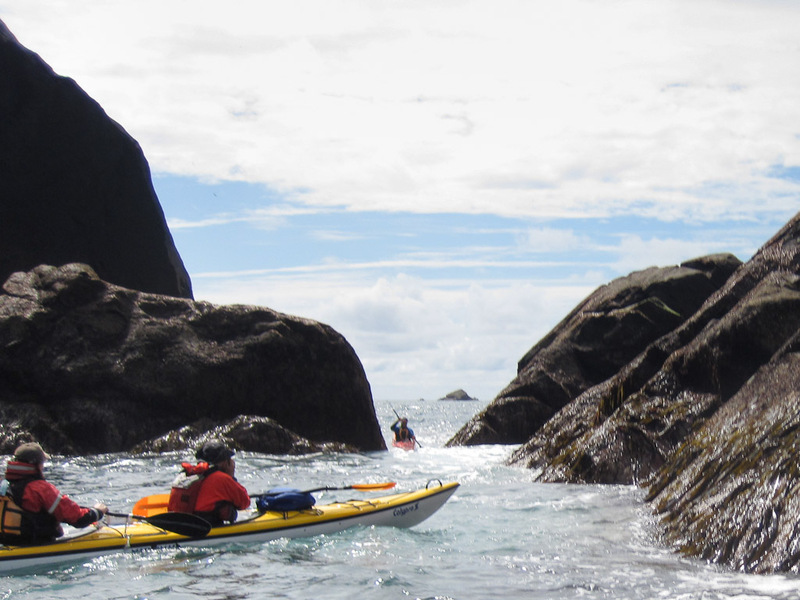 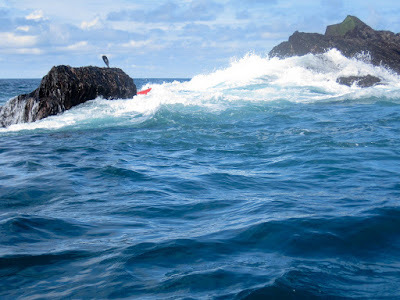 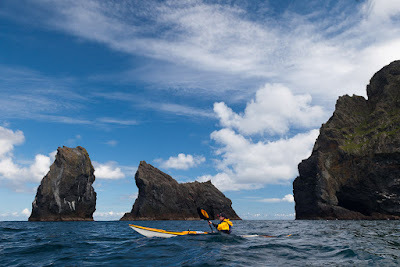 Murdani had judged that the tide race through the gaps between Soay, Stac Biorach 73m, Soay Stac 61m and An Campar 270m on Hirta was not still not conducive to safe sea kayaking. 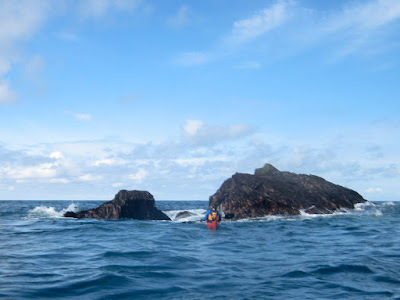 So he motored over to the SE coast of Soay and prepared a lunch for us while we waited for slack water by the stacs. One by one, we paddled across Soay Sound towards the Cuma. 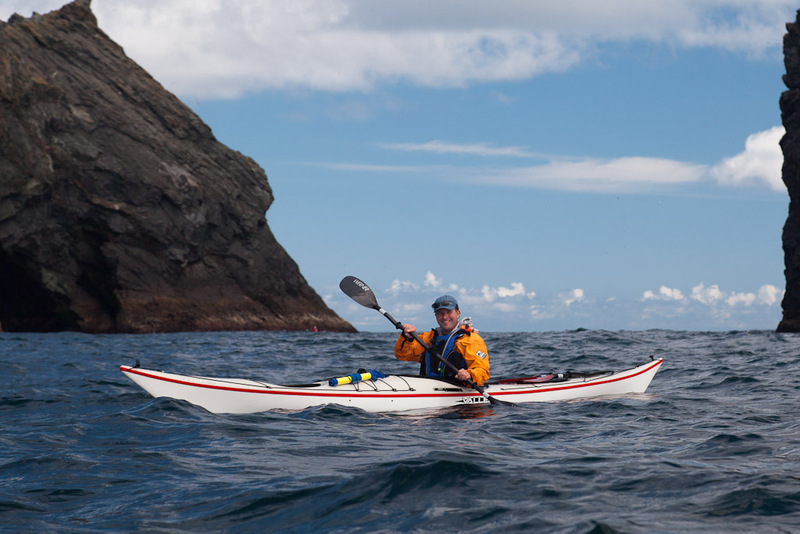 Ian enjoys paddling the Etain in front of Soay Stac, on the way to a luncheon stop with a difference!.